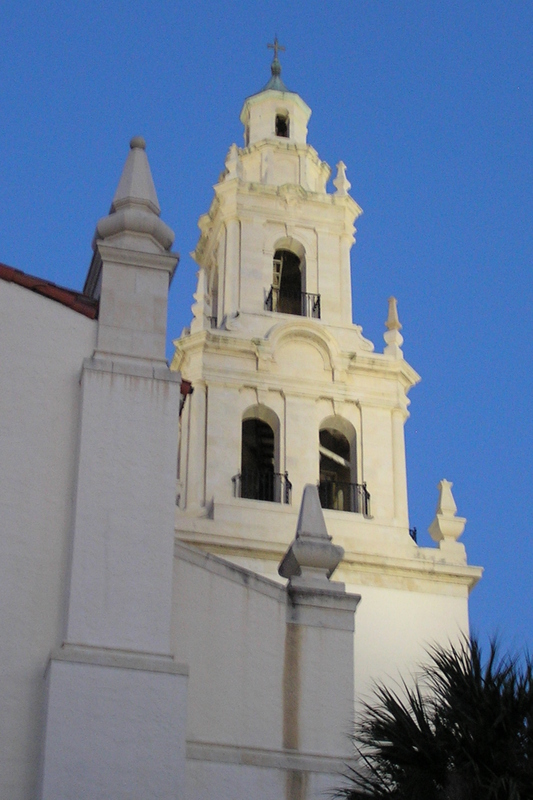 This year is the 75th anniversary of the Bach Festival Society of Winter Park. Tonight, we attended a free open rehearsal for the big anniversary concert that will be performed on the 20th. While waiting for the rehearsal to start, Sus had an opportunity to shake hands with the conductor, Dr. John Sinclair. “Thank you so much for the Christmas Candlelight Processional concerts at EPCOT,” I said. After the rehearsal started, Mike especially enjoyed Dr. Sinclair’s comments to the choir and was amazed how the choir could pick right back up after being interrupted. 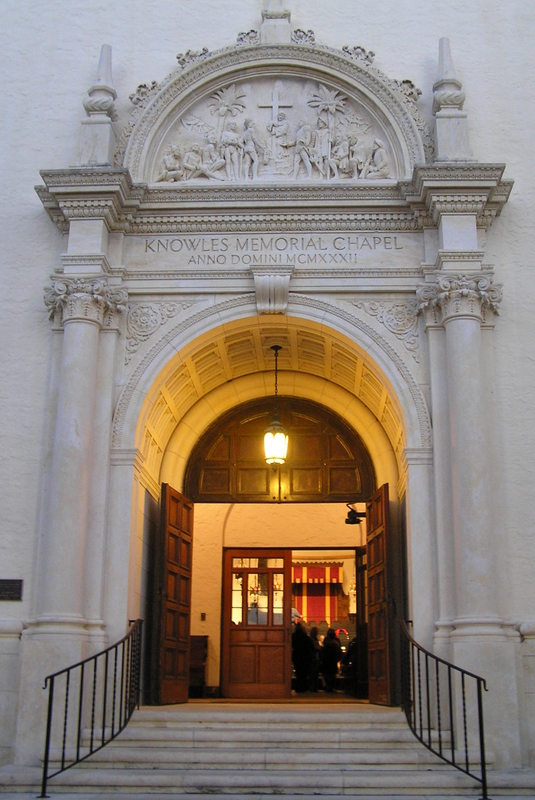 The rehearsal was held in the beautiful Knowles Memorial Chapel on the campus of Rollins College.